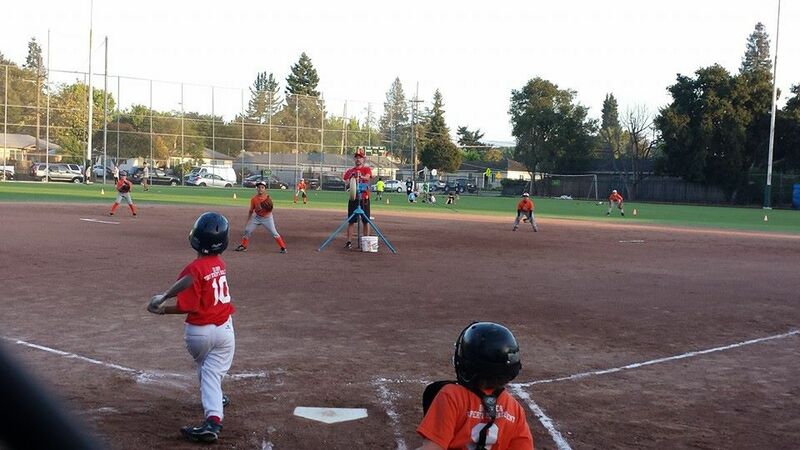 AA - Machine Pitch is for boys and girls 8-9 who want to expand the fundamentals of hitting and fielding. In the division, players will hit off an electric pitching machine at speeds between 35 and 42 mph. The primary goals of AA - Machine Pitch are to instruct children in the fundamentals of baseball and to allow them to experience the value of teamwork. Rosters may be composed of between 9-10 players. The diamond used is a 60-foot diamond and the pitching distance is 40 feet. Player requests are not accepted. Rosters will be selected at random. All male catchers must wear a cup. No On-Deck Batters: For player and spectator safety, practice swings are only allowed INSIDE the batter’s box. No swinging of the bat in on-deck, backstop or dugout areas. Dugout: All players not playing defense or batting shall sit in the dugout. As Bechet and Griffen Fields do not have a separate dugout, the first row of bleachers closest to the field are considered the dugout. Umpires: RWCLL will try to provide umpires to games in the AA Division. If there is no umpire, the home team will provide a coach to Umpire the game. Defense: First five (5) games 1 (one) defensive coach allowed on the field. After that coaches are not allowed on the field during the defensive side of the inning. Scorebooks: Please provide batting lineup to opponent prior to start of game. Scorebooks will be kept to verify max number of runs and outs per inning only. Final scores are not tallied or reporting for regular season games. Scorebook: Each team will provide scorekeeping. Home team is official scorebook. Please provide batting lineup to opponent prior to start of game and meet every ½ inning to review scorebooks for accuracy.